We are all done at the Tucson Gem + Mineral Show, a 16 foot storage pod is packed to the brim! 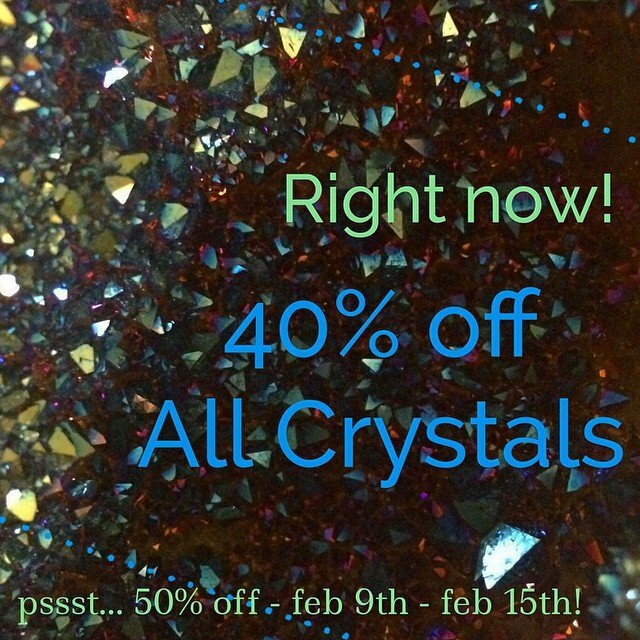 So here's your chance to come get our current gems at 40% off, and next Monday through Sunday, February 15th – they all will be 50% off! (24 hour holds, all crystal sales are final at these discounts.) we can't wait to share our treasures with you. We found some AMAZING #crystals, #geodes, #selenite, #lemurian #quartz, #apopholite, #APATITE, #SHUNGITE, #clusters, #smokeyquartz and heart stopping, make your mother curse, #ihavetohaveyou pieces that we couldn't leave behind.